Noah Levine of Against the Stream Buddhist Meditation Society assisted by Rachael Savage of Rebel Saints Meditation Society for a 5 Day Pacific Northwest Retreat. May 13th through 18th, 2018. This is a rare opportunity to sit retreat with this world-renowned teacher at the rugged and beautiful Fort Worden, Washington. 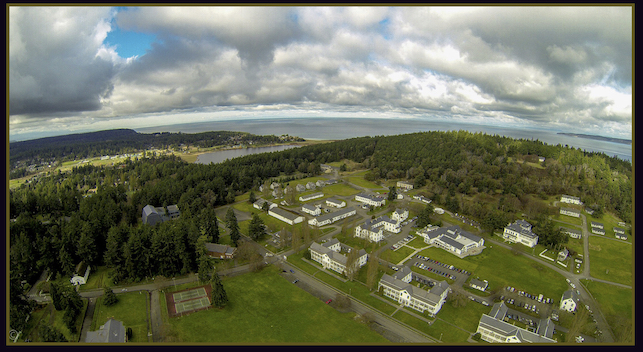 Ft. Worden is located on the Olympic Peninsula, two hours from the Seattle Ferry Terminal. 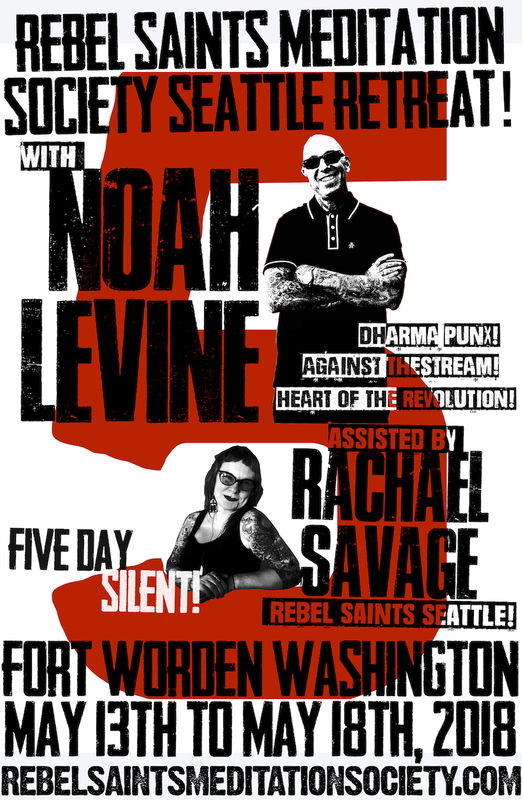 Noah Levine is the author of Dharma Punx, Against The Stream, The Heart of the Revolution and Refuge Recovery. Noah is the founding teacher of Against the Stream Buddhist Meditation Society, with centers in Los Angeles and San Francisco and over 20 affiliated groups around North America. He teaches meditation classes, workshops and retreats internationally. Noah, along with other teachers at A.T.S has created a Buddhist approach to addiction recovery called Refuge Recovery, with over 500 peer-led meetings worldwide as well as a dedicated Refuge Recovery treatment center. This will be a chance to experience the extended periods of meditation so vital to our practice. This retreat will be held in noble silence. There will be periods of sitting and walking meditation, with instructions and daily dharma talks. Silent retreat offers the opportunity to move fully into our experience and know the poignancy of the human condition and the capacity of the heart. This form of practice supports our deepest intention to be free. DANA: The cost of your retreat includes all meals, all sales and lodging taxes, as well as a $100 stipend for the teachers. There will be an opportunity to offer additional Dana to the teachers and the retreat managers. Cancellation up to 91 days before the retreat: 100% Refund minus $100.00 cancellation fee. Cancellation 90 days prior to retreat:No refunds will be issued. If you’re coming from the north, come through La Conner or Whidbey Island. From the south, take the scenic Highway 101 route from Olympia or Tacoma. From Seattle take the ferry to Bainbridge Island and drive through the coastal towns of Poulsbo and Port Gamble. Located less than two miles from downtown Port Townsend, Fort Worden is easily accessible for both locals and visitors.